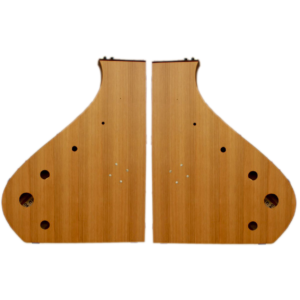 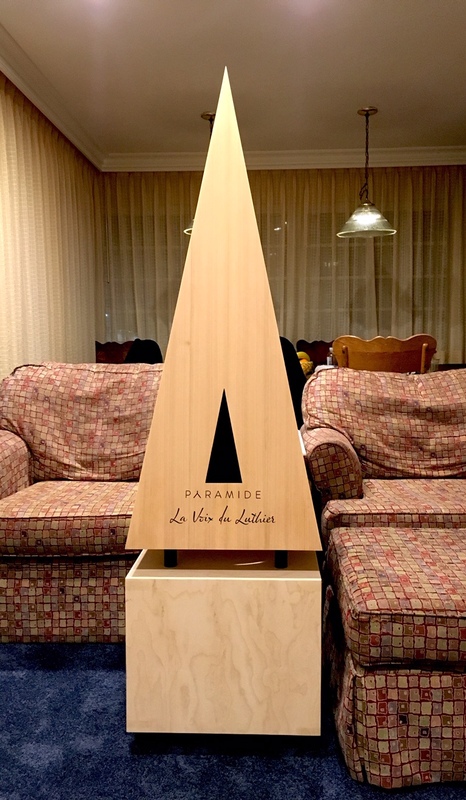 Base: 52 cm high, 46 cm width, 46 cm depth, 18 kg (Class-A amplifier inside). 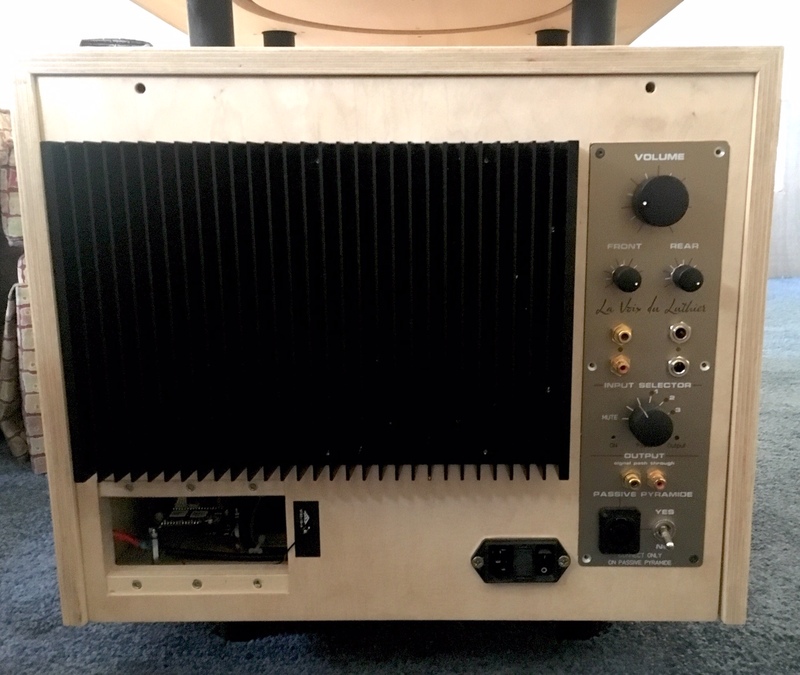 Transient details are enhanced by employing a very high end 2*40W Class-A power amplifier driving 2 carefully selected wideband transducers. 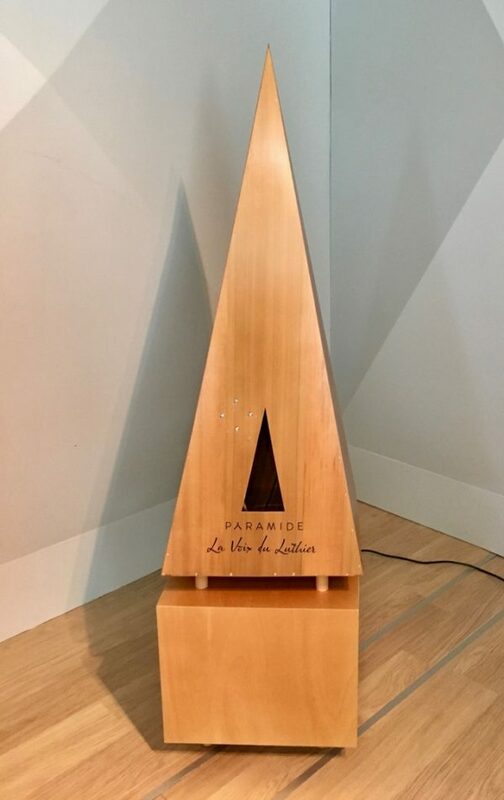 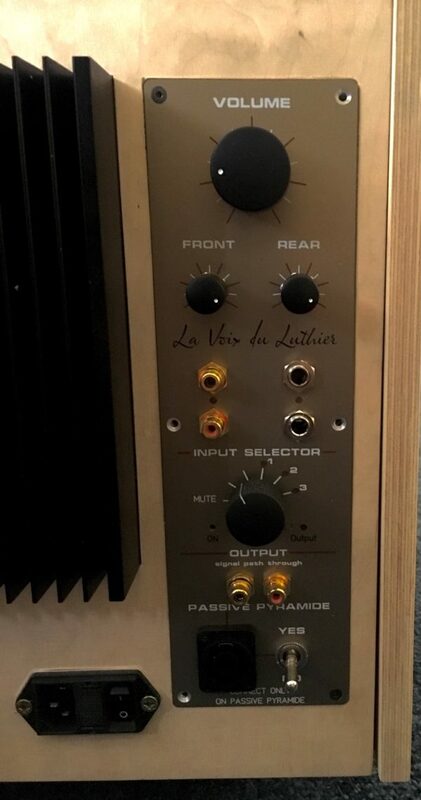 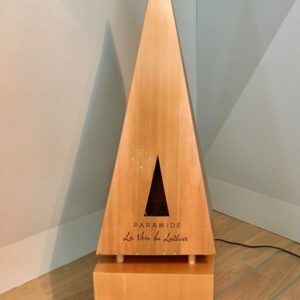 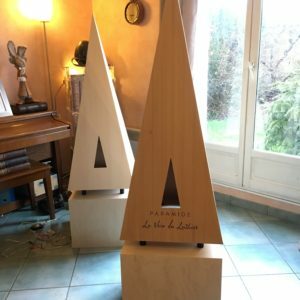 Pyramide with class D amplifier.